USS Forrestal (CVA 59) Is Remembered. Musical: 1776 - Is Anybody There? 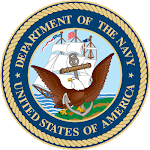 President Franklin D. Roosevelt signed Public Law 689 on July 30, 1942, allowing women to play a larger role in the Navy. An old man lived alone in Minnesota. One day he wanted to plow the land to grow flowers, but it was very hard work for someone with his age. And his only son, who gladly helped him, was in jail. I´m very sad, because I can´t grow my garden this year. I´m sad to be old and not be able to do it alone because this is the time to seed the land and your mother loved so much the flowers. If you were here you could helped me, but you can´t once you are in jail. "BY GOD, father don´t touch the garden!! It was there I hiden the dead bodys"
As all the mail was monitored in jail, at 4 a.m. next day, a dozen of FBI agents and cops appeared, digged all the garden without finding no dead body. "Now you can seed the flowers, dad. This is the best I can do now." There's nothing like a good strategy to obtain things that seem impossible. So, it's important to rethink about little things, once many times WE put obstacles in our lifes. "To have problems in life is inevitable, to be defeated by them is up to you". The new GI Bill is applies to individuals who served on active duty on or after Sept. 11, 2001, and offers education benefits worth an average of $80,000 – double the value of those in the previous program. It covers the full costs of tuition and books, which are paid directly to the school, and it provides a variable stipend for living expenses. It's also transferable to family members of career servicemembers. Those servicemembers will be able to qualify if they finish their initial obligatory service. Commissioned officers must complete their initial five-year commitment if they attended a service academy or their four-year agreement if they were commissioned through college ROTC. 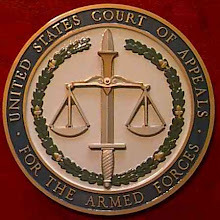 Servicemembers whose college loans were paid off by the Defense Department as a re-enlistment incentive must finish their initial commitment – whether it is three, four or five years – before they can apply, Clark said. Nelson: "Run up the signal, Hardy." Hardy: As I explained, sir, rum is off the menu! And there's a ban on corporal punishment. July 25, 2008 – 1:08 p.m.
Ohio Democratic Rep. Dennis J. Kucinich on Friday called on the House Judiciary Committee to impeach President Bush. In prepared testimony for a committee hearing, Kucinich said Bush should be held accountable for leading the nation into an unwarranted invasion of Iraq. The House voted 238-180 on July 16 to send the latest in a series of Kucinich impeachment resolutions to the committee. Friday’s hearing, billed as an examination of “Executive Power and Its Constitutional Limitations,” was not explicitly an impeachment hearing. Kucinich has said he would file articles of impeachment in the House every month until there was an impeachment hearing. It was unclear whether Friday’s proceedings, with testimony by other lawmakers and expert witnesses, would satisfy Kucinich. In any case, there is no chance the House is actually going to move to impeach the president. Democratic congressional leaders, fearing a potential political backlash, foreswore any effort to do so after regaining a House majority in 2006. For the full version of this story and the latest coverage, please visit CQ Politics. July 8, 2008 – 1:51 p.m.
Two former secretaries of State unveiled a plan Tuesday to require better consultation between Congress and the president over sending U.S. troops into war. 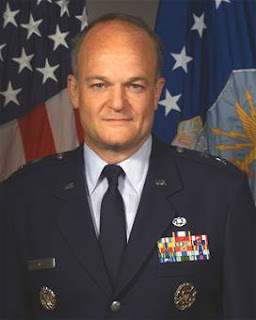 The legislation, the product of a blue-ribbon commission headed by James A. Baker III, secretary of State under President George Bush, and Warren Christopher, who held the same office under President Bill Clinton, would establish a joint congressional committee and require that the president consult with its members before sending the military into battle. “This statute gives Congress a seat at the table in deciding whether or not to go to war — not just a seat at the table, but one with a permanent staff, a permanent professional staff, and access to all the available intelligence information,” Christopher said. Christopher and Baker urged Congress and a new administration to quickly take up their proposal, and said they had reached out to the campaigns of Sens. Barack Obama , D-Ill., and John McCain , R-Ariz. The plan also would require Congress to vote on a concurrent resolution to authorize the conflict within 30 days after military action begins. If that resolution fails, it would allow an expedited vote on a joint resolution of disapproval, which would become law only with the president’s signature or over his or her veto. Any military action expected to last more than a week would require consultation, and formal consultation would continue every two months. If action requires secrecy, the president would have to consult within three days after the action began. Covert operations, humanitarian missions, limited reprisal against terrorists and repelling attacks on the United States would be exempt. 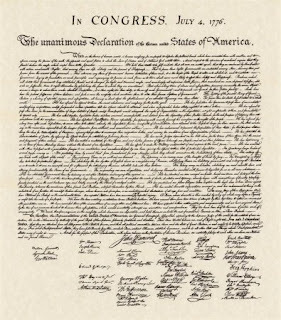 Under the Constitution, only Congress can declare war. 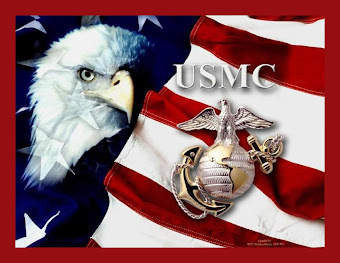 However, since the end of World War II, presidents have committed the U.S. military to several conflicts without asking for declarations of war, though in some cases Congress has enacted authorizing resolutions, as it did in the run-up to the war in Iraq. Congress also has the power to limit spending for military operations, though it could be politically difficult to do so once U.S. troops have been committed to a conflict. The proposal would replace the 1973 War Powers Resolution, which the commission concluded was ineffective at best and unconstitutional at worst. Now it’s 2008, we’re just one month away from Beijing Olympic Games. Several heads of States already confirmed participation in the first political opening of an Olympic Game from XXI Century. Yes, political. Why not speak about the megalomaniac greatness of these Games, as a matter of fact, one sister of the Olympic Games of 1936. Germany was then a flourishing economy with a lot of people willing to do business with, and also a lot of people willing to look at the other side, about the human rights agenda. We only discovered about the slave camps Auschwitz, Treblinka and other death camps after the end of World War II. And even then many people didn’t want to, if the American Commander didn’t record in pictures and films the holocaust, a lot of people would say then and today: it didn’t happen. In the same way, today, we try to look at the other side, for political or economical reasons. And we try to forget that liberty was shot in Tiananmen Square 19 years ago. We can’t run from the comparison. Doing business with China is good for bottom line, but may be good for the bottom, but for the head is terrible. Now we chose to go to Beijing not because it’s right, but because it’s easy. It’s easy to forget the slave camps who manufacture cheap things for us. 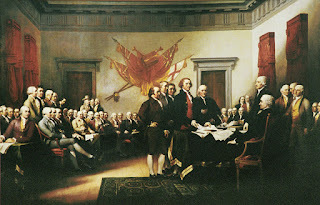 It’s easy to forget the political oppression and the end of liberty. I don’t know what you’re going to do, but I do know that if the governments are not willing to displease the Chinese government, I may be the only one, but I’ll boycott the Olympic Games not watching anything, nothing at all. And I invite you to do the same, not because it’s easy, but because it’s right. About one in five recruits receives exceptional admission to the military by means of a waiver. About one third are for medical waivers– most frequently for high body fat – and nearly two thirds involve youthful misconduct waivers. We have seen Prime Minister Tusk's remarks concerning Missile Defense negotiations and are studying them closely. Poland remains a close and important ally of the United States. We remain in negotiations with Poland and do not plan to comment publicly on the details. Missile defense is an important potential area of cooperation between the United States and Poland. An agreement would be an important means of deepening the defense and security relationship between our countries. This is also important for the security of NATO nations as recognized in the Bucharest summit communique which endorsed this effort and spoke of its importance to the security of the Alliance. The butterflies art does not exist anymore like it was in the 1930's. Faded way in 1960's. Besides that, is a beautiful and somehow precise documentary. For example it is true that Brazilians does not agree with the sense that the word America means US and not the whole Continent. This film is a beautiful look in a City which still exist although under a lack of good governments. Amid conflicting reports that Moscow has agreed to sell Iran a number of S-300 low-to-high altitude air-defence systems emerging at the end of 2007, Jane's has learned that Tehran is actually in the final stage of negotiations with Belarus for the acquisition of two surplus trailer-mounted towed S-300PT (SA-10A 'Grumble') systems. These systems were, until recently, deployed near Minsk as part of Belarus's operational air-defence configuration, and include command-guided Fakel 5V55K missiles (with a range of 47 km) and the baseline 5V55R semi-active radar and Track Via Missile (TVM) guided missile (range 75 km). This is from a mom on the USNA net as she relayed from her son. A few of us Plebes in 12th Company made the sign from twelve blue magnets (blankets). Then, 7 of the Second Class went to West Point a few times before to Recon. 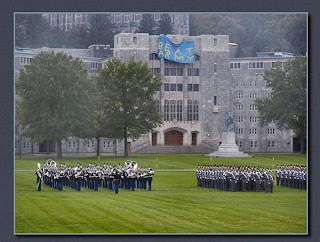 Four Second Class went up to West Point on Parents Weekend for the parade, slept on the roof of their dining hall the night before, and finally unfurled the sign during their Formal Parade. 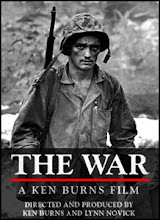 Although they were caught, and interrogated by a Sergeant Major (E-9 in the Army), they never broke and when West Point learned that the Recon had been approved by Colonel Allen (Commandant, USNA), they released them. So...Three hours after being captured, they returned to the Naval Academy and were personally recognized by Captain Parker (Deputy 'Dant) for Recon Excellence. The 2008 game will be played on December 6 and the 2009 contest will be held on December 5, with both games being played at Lincoln Financial Field in Philadelphia, Pennsylvania. 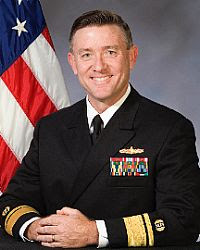 Secretary of Defense Robert M. Gates announced today that the President has nominated Navy Rear Adm. Bruce E. MacDonald for appointment to the grade of vice admiral while serving as Judge Advocate General of the Navy, Pentagon, Washington, D.C.